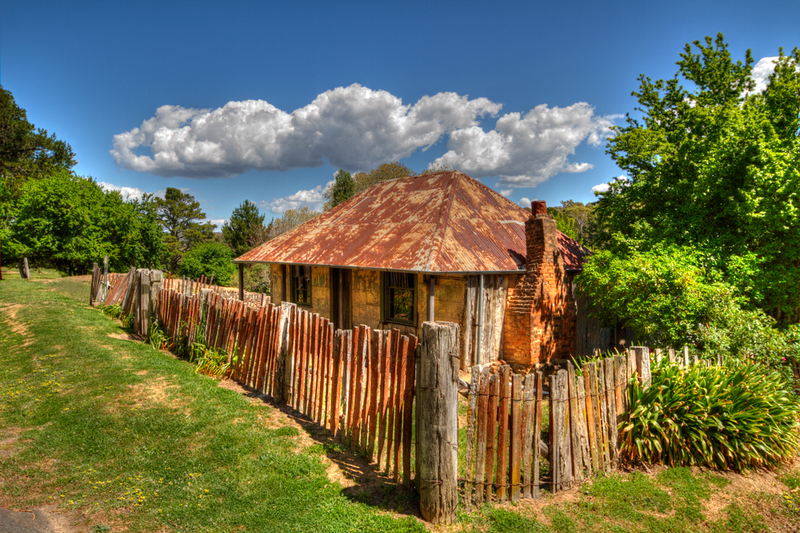 Hill End owes its existence to the New South Wales gold rush of the 1850s, and at its peak in the early 1870s it had a population estimated at 8,000 served by two newspapers, five banks, eight churches, and twenty-eight pubs. Its decline when the gold gave out was dramatic: by 1945 the population was 700. At the 2006 census, Hill End had a population of 166 people. The photographer Beaufoy Merlin recorded daily life in the town at its peak; his photographs can be found in the town museum/visitor information centre. The glass plate negatives are held in the State Library of New South Wales. Hill End today is classified as a Historical site by the National Parks and Wildlife Service (NPWS), however it is still home to a handful of residents operating the local pub, general store, cake store and antique store. NPWS has installed signs around the town to give visitors an idea of what was once in place on the now empty lots of land. Currently only a handful of buildings remain in their original form. However most of those buildings still serve the purpose they did back during the gold rush.